The Schark Parts Aluminum Cooling Fan Mount is intended as an upgrade from the stock ABS plastic version on the MakerBot Replicator 2. We’ve seen many a plastic fan mount, warped, dinged, cracked and broken. 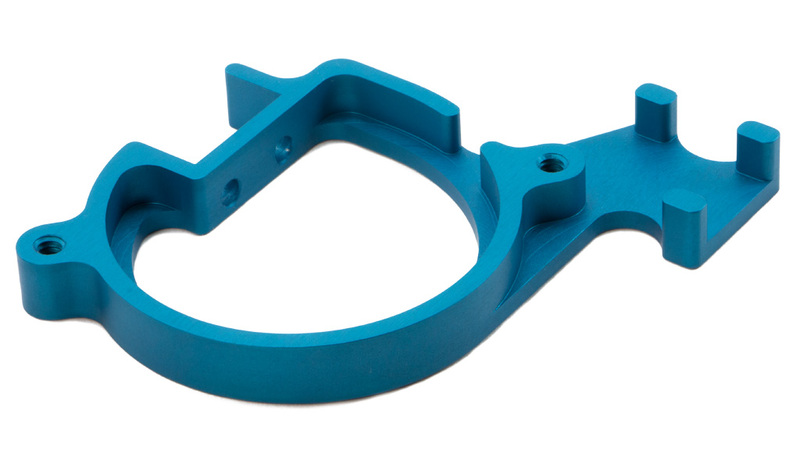 Avoid repeated replacement of this part with this anodized aluminum upgrade. Machined in the USA.